The 2014 All Japan Championship saw a finale that no one would have picked. It was Yuya Takenouch, 3rd year student at Tsukuba University, who stood above all. 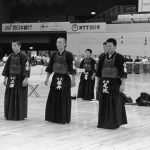 It was the first time since Tetsuo Kawazoe (Kokushikan Uni) in 1971 that a university student had won the championship, and Takenouchi also set a new record for the youngest champion set in 1960 by Tetsuaki Kuwahara (Asahikasei, 21yo) which stood for 54 years. Kawazoe was 21 years and 10 months old, Kuwahara 21 years and 9 months, and Takenouchi 21 years and 5 months. Sho Ando (Hokkaido Police), who was seen as a promising young prospect, lost in the first round, and Ryoichi Uchimura (Tokyo Metropolitan Police), the previous year’s defending champion, bowed out in the third round. 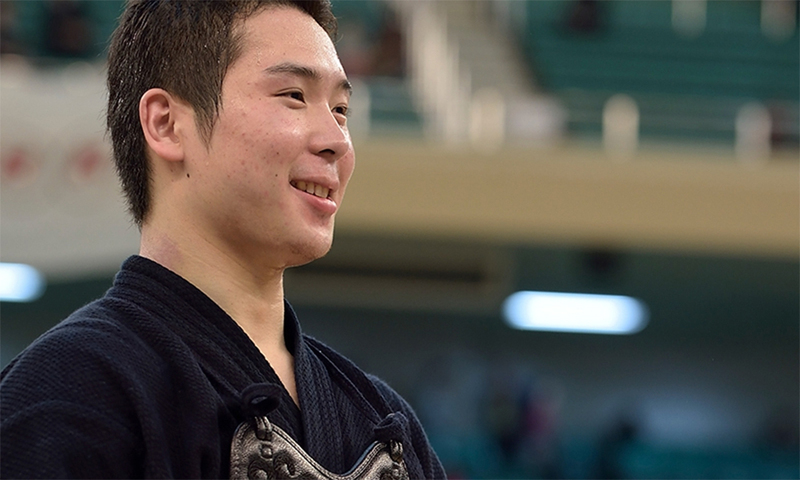 As several prospects for the next year’s World Championships crashed out, Takenouchi, who was among the 4 student participants (including 1 post-grad student) kept up his winning ways. In the second round he faced Ryosuke Kawai, a post-grad students also from Tsukuba University, with whom he practices regularly. He got the men first but then go struck in the do. This was the only point he lost all day. Other than this match he faced policemen in all other rounds, but even against veteran players he showed no signs of fear. Aside from using his long stride to get in his men strikes, he also showed do and kote strikes to gain points. The last 4 saw Takenochi, Kosuke Hatanaka (27, Tokyo Met. ), Eisaku Nishimura (25, Kumamoto Police), and Rentaro Kunitomo (24, Fukuoka Police), featuring an all 20s line-up. The previous year saw 3 players in their 20s, but having an all-20s semi-final was the first occurrence since 1976. Takenouchi, Hatanaka and Nishimura were all prospects for the Japanese team heading for the World Championships, but the 3 our of 4 semi-finalists, except Hatanaka, were actually first time participants at the All Japan Championships. Facing Hatanaka, the most experience among the 4, Takenouchi gained a point with a return-do very early on, which enlivened the audience. 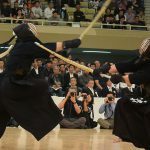 The decision for the second point was contentious, but he kind of encircled Hatakenaka’s shinai as he aimed for the kote, and struck him on the men. In the other semi-final, Kunitomo defeated Nishimura (who would win this competition a year later), creating an all-Fukuoka final. Takenouchi had won in the Fukuoka preliminaries. 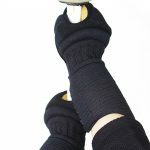 Kunitomo was showing a calm and mature style of kendo, but Takenouchi grabbed first points with a kote-men. As Kunitomo tried to attack, Takenouchi claimed the men for a nihon-win, thus reaching the top of the pile. At this moment, the youngest champion was born. “I have not come to terms to the reality of winning. It was a world which I had only seen on TV, but as there are players who have been selected from all the prefectures, I think I was able to show the kind of heart that I don’t normally show,” said Takenouchi to the interviewers straight after the final. 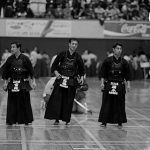 The following year, at the World Championships held also at the Nihon Budokan, Takenouchi played his part in winning the team championship, and came second in the individuals, showing an all-round fine performance. This championships saw Nihon Budokan packed with spectators, and the All Japan Championships held later in that year saw over 10,000 spectators. 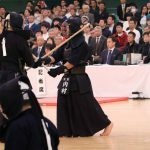 The victory by the young kenshi saw a kind of excitement breathed into the world of kendo for the first time in many decades, drawing interest from the general public as well. 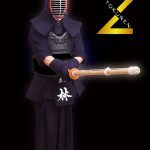 NEXT POST Next post: Brandnew Kendo Shinai from Tozando!